Enter the refractive index for the more optically dense material to calculate the critical angle. The critical angle is the angle of incidence in the more optically dense material at which the angle of refraction is 900. 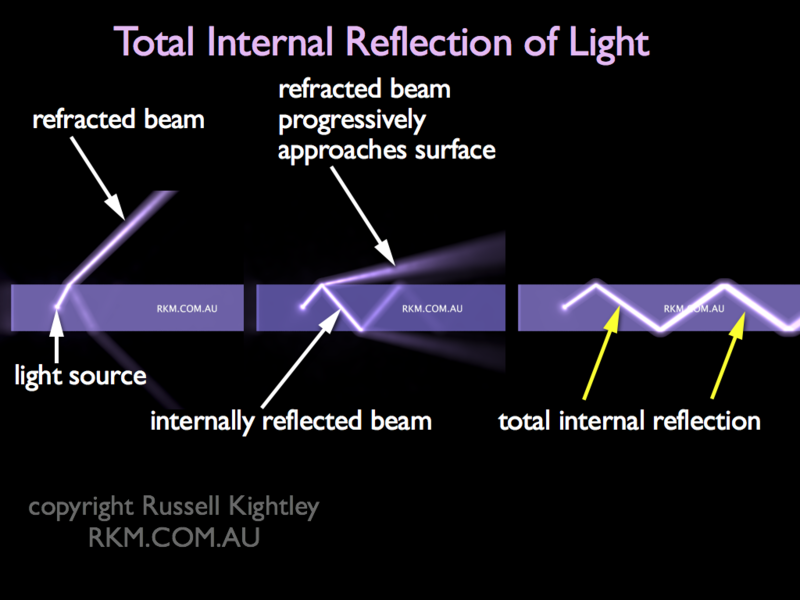 Beyond the critical angle, all light is reflected back to the interior, a phenomenon known as Total Internal Reflection. By default, the environmental RI is set to 1 (vacuum) but you can enter any value that you like. Notice that if the environmental RI is greater than the material RI you get a NaN error (Not a Number). See our animation of Total Internal Reflection and its major application in our animation of fibre optics.